It's not wise to upset a Wookie, especially if that Wookie's Roar and Rage Chewbacca! 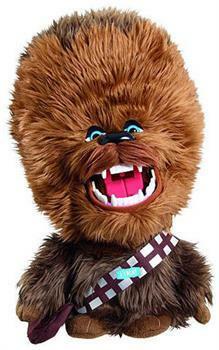 As the latest addition to Underground Toy's officially licensed Star Wars Action Plush range, Roar and Rage Chewbacca combines awesome animatronics with the original and iconic Chewbacca roars and growls from the classic movies, bringing everyone's favorite Wookie with anger management issues to life in your own home. Simply press his buttons and watch in amazement as Roar and Rage Chewbacca gets more and more angry before your very eyes! Just one question remains: Are you brave enough to upset the Wookie?! Measures approximately 16". Requires batteries (included). It's not wise to upset a Wookie, especially if that Wookie's Roar and Rage Chewbacca! Roar and Rage Chewbacca combines awesome animatronics with the original and iconic Chewbacca roars and growls from the classic movies! 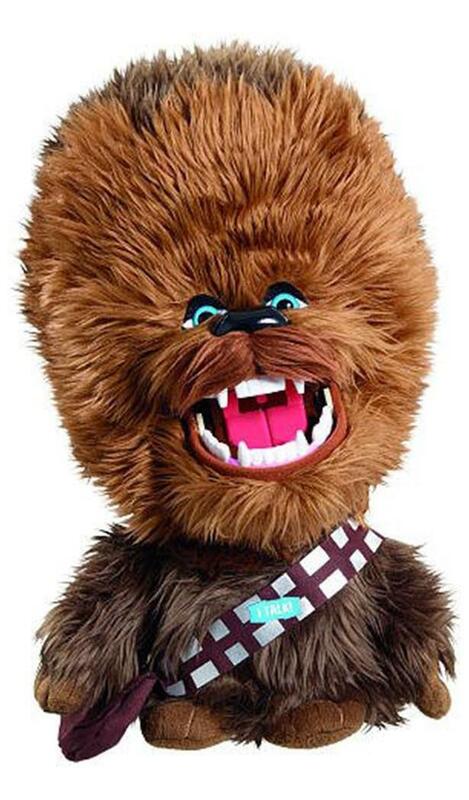 Press his buttons and watch in amazement as Roar and Rage Chewbacca gets more and more angry before your very eyes!